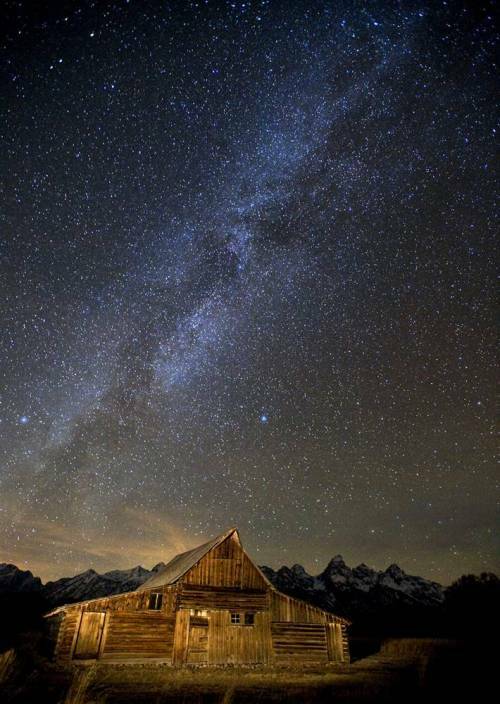 The Milky Way spreads across the night sky over Mormon Row, a historic settlement in Grand Teton National Park near Jackson, Wyo. The light in the distance is the city of Driggs, Idaho, on the west side of the Teton Mountain Range. This entry was posted in nature, photos and tagged grand teton national park, mormon row by Tiffany. Bookmark the permalink.